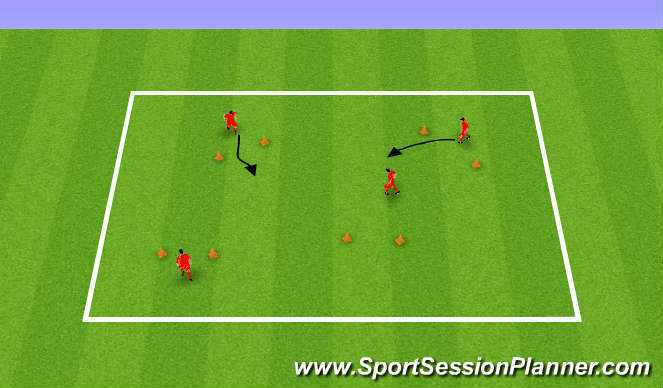 Activity: Dribbling and turning through gates. Players dribble around area through the gates. After 30 seconds explain that now when they go through a gate they must try one of the ball mastery skills then continue dribbling. Players can keep score to see how many times they get through the gate, do a ball mastery skill or a turn in one minute. Activity: Players are numbered in their team. 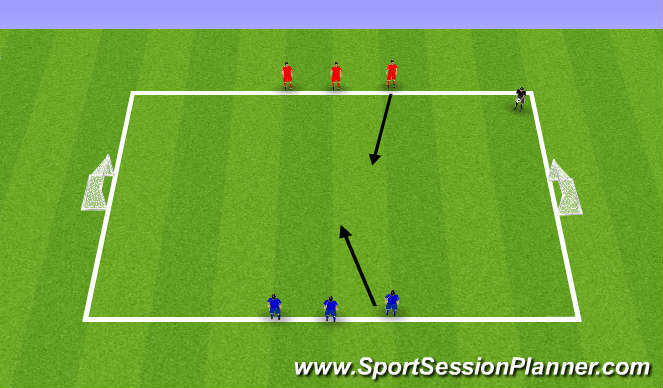 Coach throws ball out then shouts a number that player runs out and plays 1v1 against opponent. Players can score in either goal. Team up to 5 wins. Activity: 4v4 game with puggs.